I have a bit of a love/hate relationship with festivals. Pros: if I get bored, I can just wander off and find something else to do. Cons: the toilets. Oh god, the toilets. This is exactly why one-day festivals suit me perfectly; you get a taste of the festival lifestyle, and then you get to come home, have a shower, and get a good night’s sleep in your own bed. This year, I was lucky enough to visit two one-day festivals: Citadel, and Kaleidoscope. Both were SO different, yet so so good in their own little way. Firstly, let’s get the bad stuff about Citadel out of the way. Held in Gunnersbury Park near South Acton, Citadel was a little bit of a pain to get to, but it’s nothing that a spell on the District (or Piccadilly) line couldn’t fix. The main issue was with getting OUT after the event. I was fine as, true to form, I left an hour before the very end in order to get home to bed. However, a LOT of people – a few friends included – got caught up in the rush back to the tube station, which was a fair old walk from the far end of Gunnersbury Park. Some people were queuing up to two hours to get to the station, which gives you an idea of just how busy it was. By the time the last dribs and drabs got to the station, the last tube had already left – this was despite train transport initially agreeing to run for an extra hour (allegedly) to accommodate the influx of people. 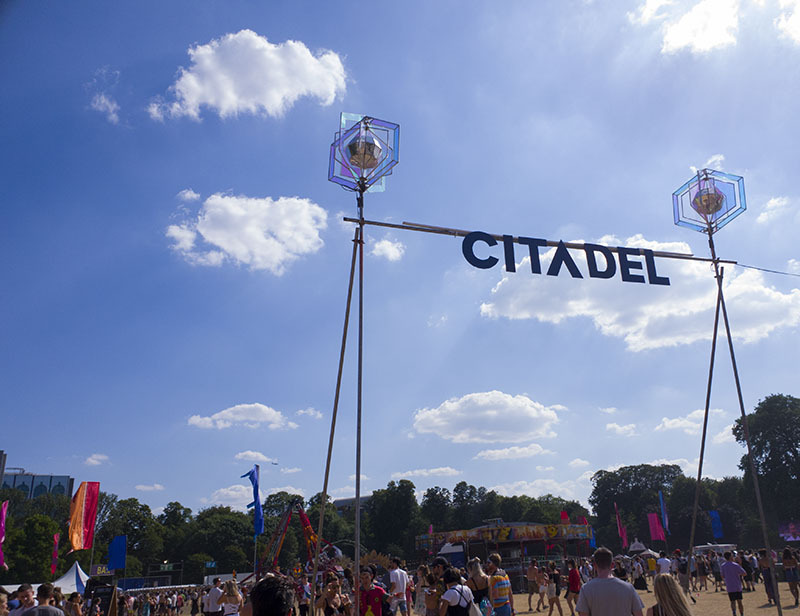 To their credit, the team behind Citadel Festival addressed the reports on their Facebook page and apologised to those caught up in it… but I’m pretty sure that would have been a crappy old way to finish your festival day out. Anyway, if you learn anything from this, it’s to be an old granny like me and factor in plenty of time to leave the area and get home. You won’t regret it. But now onto my Citadel Festival highlights. Because, while it didn’t end quite as well as it should have done, the day itself was actually pretty darn good. 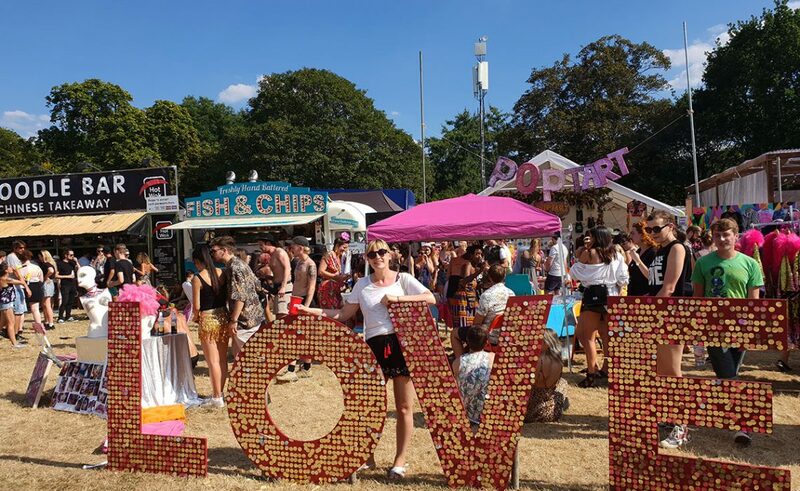 These are a few of my festival highlights! p.s. all photos were taken with the Samsung S9 camera, which I was trialling out as part of a campaign with Three! Absolutely loved it, and they didn’t even pay me to say that. 1. Being Treat to Glorious Weather! The weather! I can’t not start this off with the most exciting thing of the entire day. 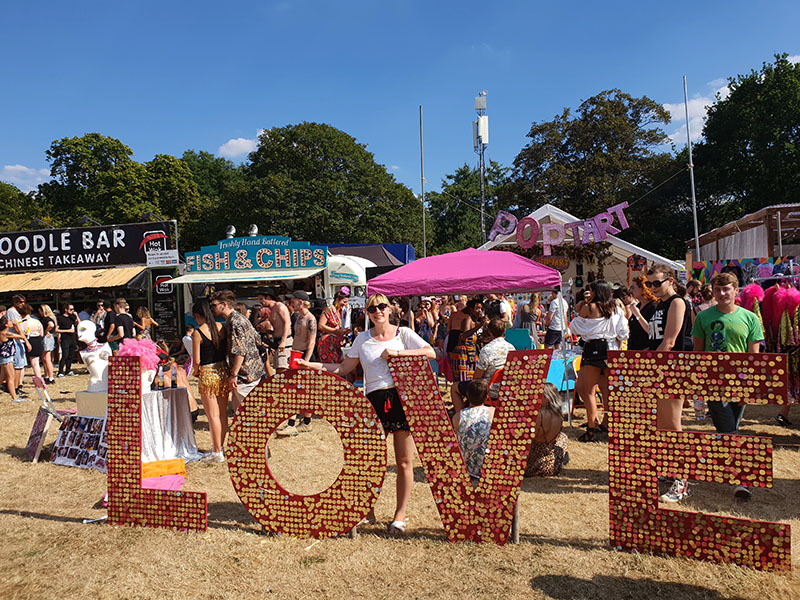 It was so nice to be at a festival in London with some sunshine (um, yes, this was before the heatwave decided to drag on for approx 324239371 days and melt everyone in its sight). The festival had free water points around the field but these got absolutely PACKED so we just ended up buying our own drinks and sitting down in the shade. Bliss. 3. The Vibe Itself Was Fab! I actually really loved the vibe of Citadel. Very hip, very London, very youthful. 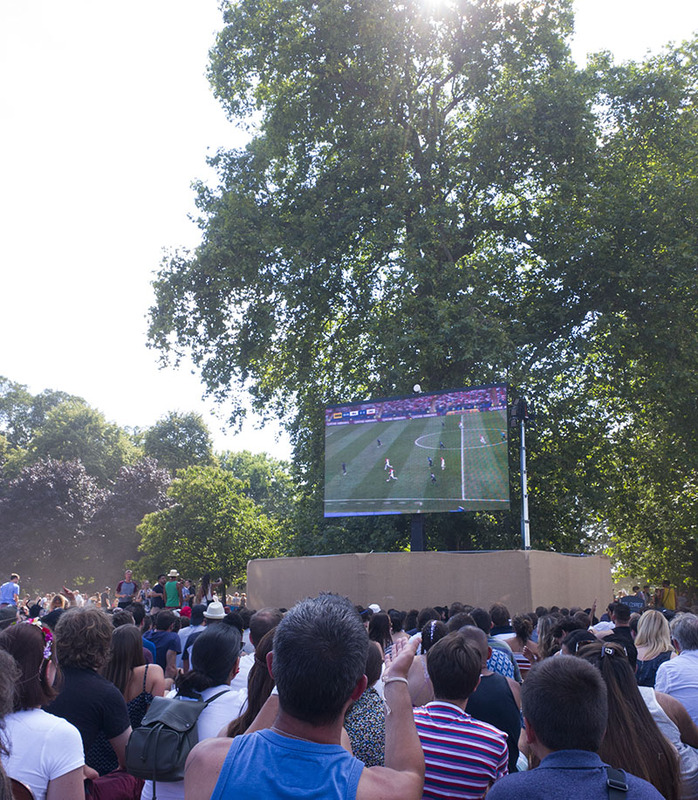 That’s not to say it was a crowd of under-30s, though – there were people of all ages. There was just so much energy going round, that it felt like an inspiring place to be. There were also tonnes of workshops going on as an alternatives to watching music, so we got to watch, for instance, some pottery being made. Also, approximately 68% of people there were wearing glitter which was fabulous as I didn’t feel like too much of a festival dweeb wearing mine. Leading on from the vibe, I need to make the fact there was an actual table tennis table there its own separate point. 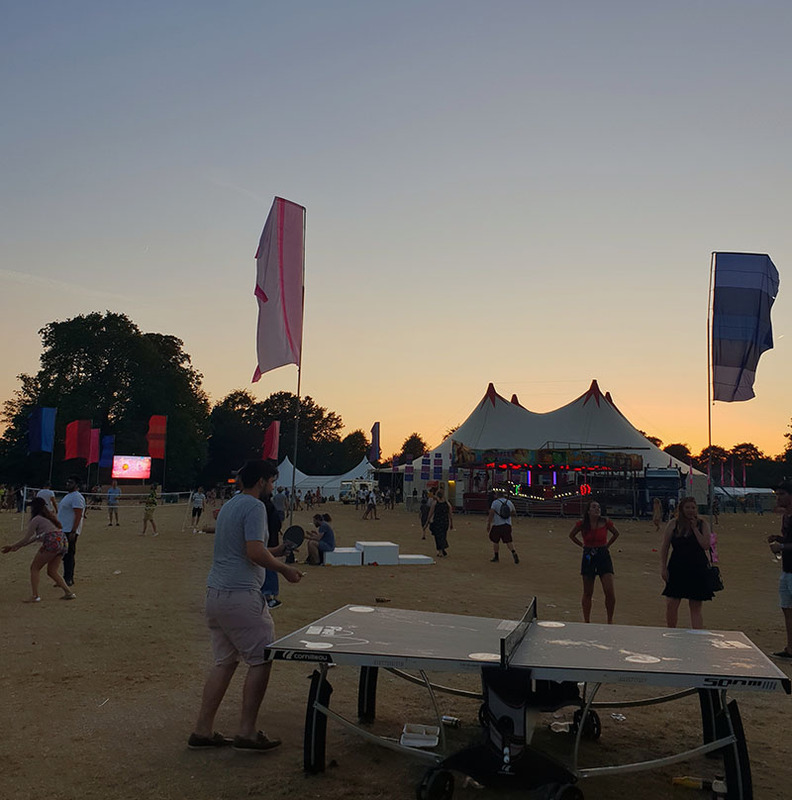 I mean, it was right by the volleyball net and therefore in the second worst possible place it could possibly be (second only to ‘the front row of the main stage’), but it was a table tennis table nonetheless. AND I beat my friend twice. Quite possibly one of the highlights of my entire life, let alone Citadel. At the end of the night, I snapped this picture from the back of the main stage area when the most gorgeous sunset suddenly appeared. A variation of this picture is what’ll be featuring in a Mayfair Gallery as part of that ^ campaign I mentioned with Three gallery earlier! The day had some big musical acts if you’re into that sort of thing… Tame Impala were the main headliners, while Chvrches and GOAT were also there. But – spoiler – I didn’t actually catch any of them. I was far more interested in wandering around, keeping cool, and seeing some of the lesser-known acts on the side stages. 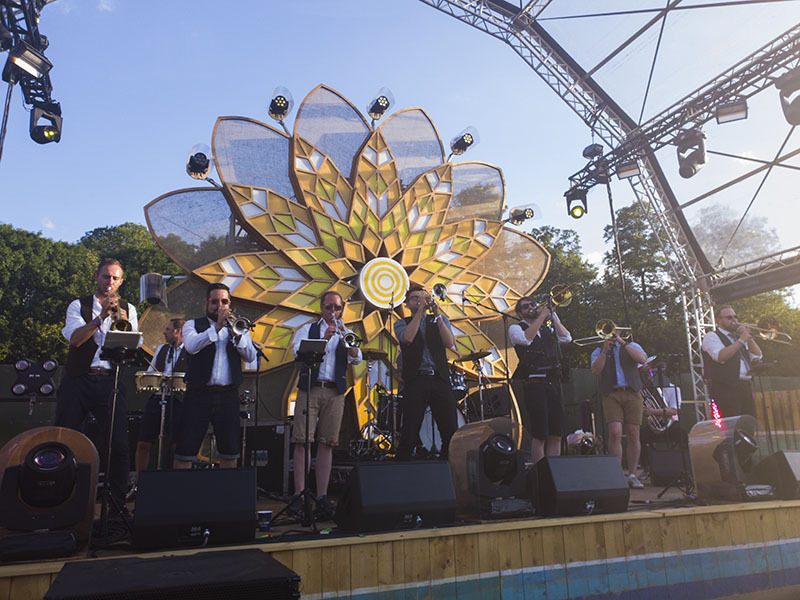 My absolute favourite was Old Dirty Brasstards, a 10-piece brass band that does covers of everything from The Beatles to Backstreet Boys. My inner 90s child was greatly appeased, and I don’t think there was a single person in the crowd who WASN’T dancing! That’s my little round-up of Citadel Festival. I really enjoyed it, but I was SO glad to get back into my bed that night. It’s crazy how much just a one-day festival can wear you out! 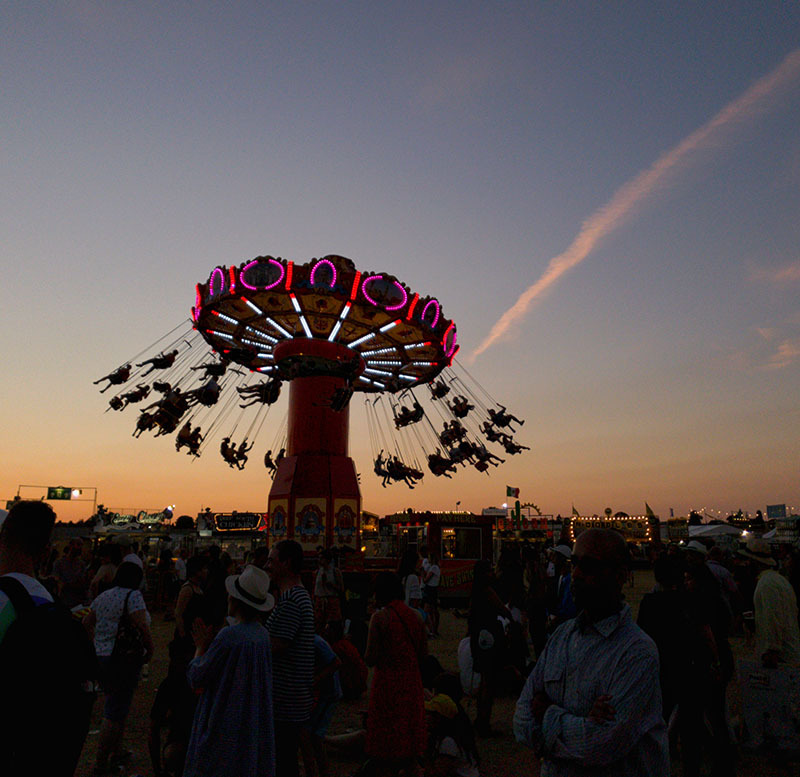 One-day festivals: Are you a fan or not?